In 2005, i replaced my 3315 with 3220. This is my 1st Handphone with colour screen, camera, polyphonic tone and internet (WAV) capability. I liked its side lamp blinking lol, especially because it can blink to follow ringtone sound. 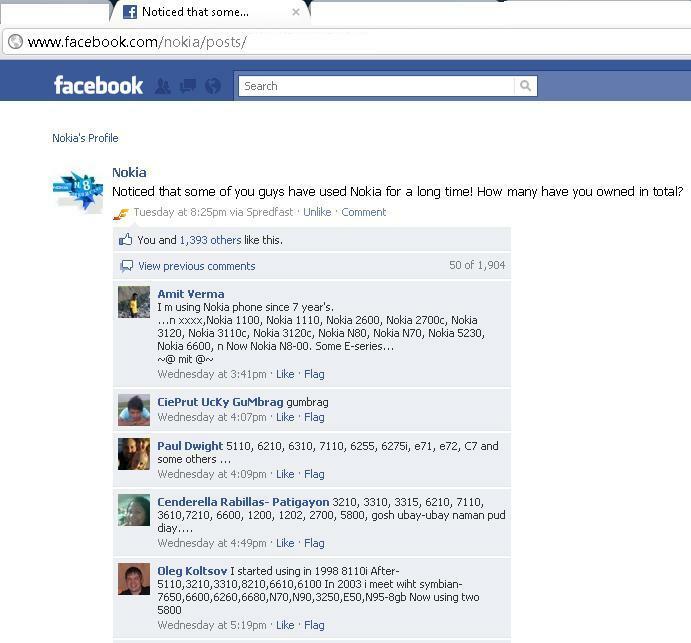 After 3315, for i used Nokia 3100. I got this handphone from my mom because she has had new handphone at that time. This handphone capability: color screen, polyphonic tone, wav net and we can use external camera. I think this is one of my best handphone that i had. Nokia N70 Music Edition feature are 3G/GPRS data internet, support symbian and java, 2MP camera, Video Call, Radio, and most special is its capability to play music. As its name “Music Edition”, this handphone plays music with its loudspeaker or earphone very well. Its other feature that i liked are 3G and video call. I used this handphone for modem (check this posting). I also liked its endurantbility. I have droped this handphone many times and it still function well lol. Check my other posting about this handphone (transfer data to PC with Operating System Ubuntu). what i like from this handphone are QWERTY Keypad, it can be hacked so we can make “its as like what we want”, its internet connection is more stabil than N70.But for sound quality, its quality is not as good as N70 music edition. although it can video call, but this handphone hasnt front camera. so its difficult if we want to use video call with this handphone. Beside E63, now i use 6030 too. just for backup and collection.